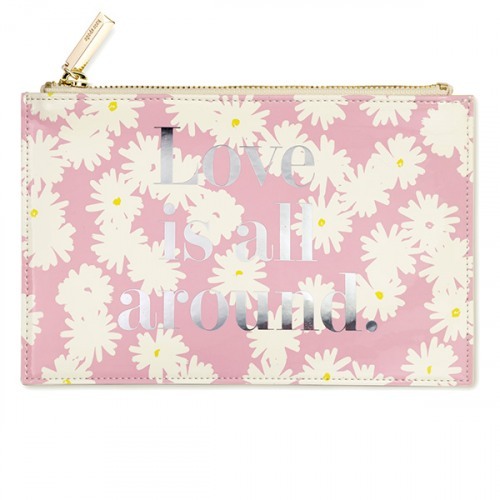 Whether you're making your guest list, sketching out your dream dress, or finalizing the seating plan, kate spade new york's pencil pouch will come in handy. 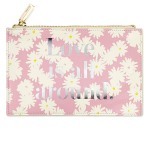 This pink pouch has a daisy flower pattern printed with the large stacked block phrase "love is all around" in silver foil. 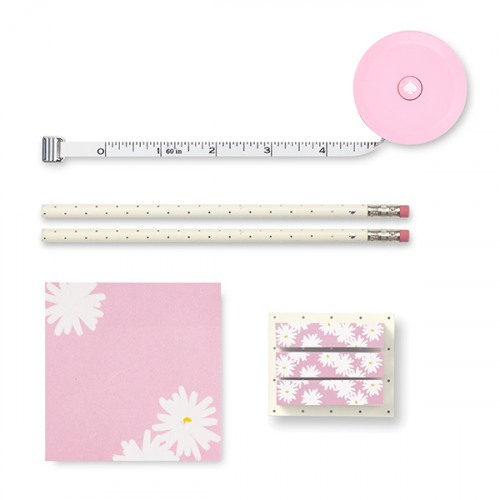 Items inside the zipper pouch include a tape measure, sticky notepad, two pencils, and three sticky note flags.